LYNN, Mass. -- Steve Vecchione, a veteran sports announcer in New England, is the new play-by-play voice for the North Shore Navigators’ home games in the Futures Collegiate Baseball League (FCBL) this summer. Vecchione has become familiar in New England through his work covering Amherst College and NESCAC Championship sports for the Northeast Sports Network (NSN). Added assignments have included play-by-play for NCAA Division 3 championship events. He has also called baseball, basketball, soccer and volleyball at The College of the Holy Cross in Worcester for both the Patriot League Network and Emmanuel Radio. In addition to announcing baseball at Amherst College, Vecchione was one of the radio voices for the repeat champion Valley Blue Sox of the New England Collegiate Baseball League during the summer of 2018. He is a graduate of the S.I. Newhouse School of Public Communications at Syracuse University where he worked as a sports announcer for the renowned college radio station, WAER-FM. Before embarking on an announcing career, Vecchione worked as a Coordinating Producer at ESPN for many familiar programs including Baseball Tonight, College GameDay, Outside the Lines and SportsCenter. 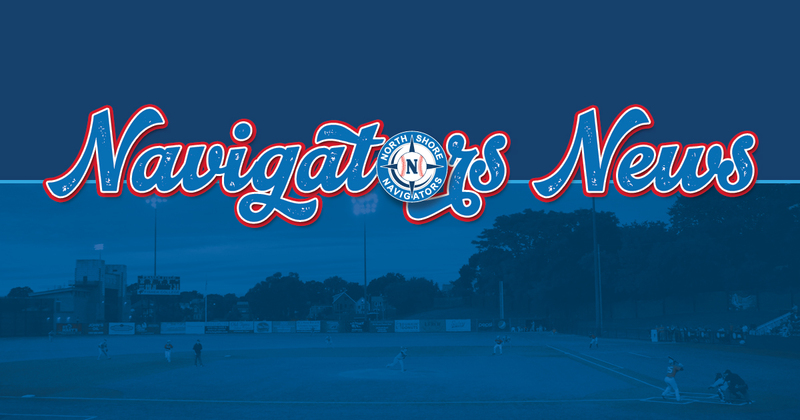 The Navigators begin their 2019 season on Thursday, May 30 with an eye on the home opener at Fraser Field Saturday, June 1 against the Nashua Silver Knights. Stay tuned for further announcements prior to the season, including the remainder of the player roster.